The agricultural land resources of China are relatively limited because of its large population. Therefore, balancing the land use for industrialization, urbanization, and food security is a big challenge. In recent years, rural hollowing in China has resulted in numerous of abandoned rural houses, and the areas with abandoned houses need to be restored into agricultural land with effective land consolidation techniques. 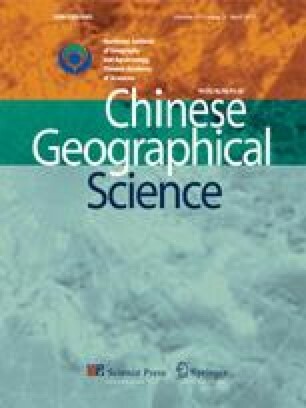 This study used the method of benefit-cost analysis and the data collected through field surveys conducted in Yucheng City in the northwest of Shandong Province in March 2009, to examine how hollow villages (HVs) to be created and how to solve the problem. The qualitative and quantitative analyses indicate following results. 1) The situation of HVs is becoming increasingly severe under rapid industrialization and urbanization in Yucheng City. 2) Poor infrastructure in rural areas and incomplete urbanization are the main factors that have led to the rural hollowing in many major rural regions of China. 3) In order to resolve the problem caused by HVs and increase agricultural land, reconstructing rural communities in the countryside is necessary. 4) A new mechanism in the provision of compensation funds by developed regions to the villages in less-developed regions must be established.